The NCI Difference / Why Trust Nevada Career Institute? Why Trust Nevada Career Institute? At NCI, we understand that it can be challenging to know which school is right for you. That's why we are committed to sharing about the Nevada Career Institute (NCI) Difference. Read on to discover what sets us apart—you'll soon see why so many students have trusted NCI to equip them for success. At Nevada Career Institute, we are dedicated to offering the highest quality programs to our students. You don't have to take our word for it though—all of our programs are accredited by the Accrediting Bureau of Health Education Schools (ABHES). NCI also holds several program-specific accreditations, so you can be confident you are receiving an excellent education. 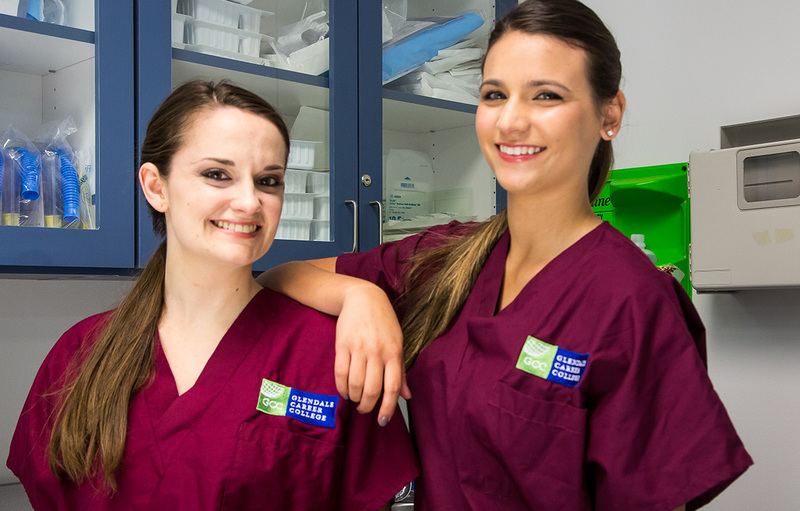 At Nevada Career Institute, we're about preparing students for the real world. So we provide hands-on training opportunities throughout our programs, along with a clinical internship that enables students to put into practice their new skills. We also keep a pulse on the changing job market to ensure we are steering students toward the most in-demand careers. From the moment you walk onto the Nevada Career Institute campus, you'll notice the warmth and family atmosphere. From our staff in Admissions and Financial Aid to our instructors in the classrooms—all of our Team Members truly care about students as individuals. They are committed to walking alongside our students every step of the way. We recognize how difficult it can be to juggle school, work, and your family. That's why we offer day and evening classes, making it easier for students to fit their education into their busy lives. So you can choose the schedule that's right for you. Established in 1993, Nevada Career Institute opened its doors with a passion for helping students in Las Vegas and the surrounding communities. More than 20 years later, that passion continues to drive every Team Member at NCI as they care for our students—individuals who have gone on to raise the standard of excellence at health care organizations of all types. Learn more about how you can join our growing family of successful alumni by contacting one of our Team Members today!